EBD is an integrated part of the ABS system. EBD regulates the hydraulic pressure to the rear brakes to help provide optimal braking capacity. The brake pedal will pulsate during braking, which is normal. If the BRAKE and ABS warning lights come on at the same time, this could indicate a fault in the brake system. 1. Stop the vehicle in a suitable place and switch off the engine. • If both warning lights go off, no further action is required. • If both lights are still on after the engine has been restarted, switch off the engine again and check the brake fluid level. If the fluid level is below the MIN mark in the reservoir or if a Brake failure – Service urgent message is displayed in the text window: DO NOT DRIVE. 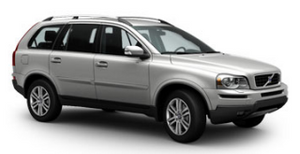 Have the vehicle towed to a trained and qualified Volvo service technician and have the brake system inspected. • If the brake fluid level is above the MIN mark, drive carefully to a trained and qualified Volvo service technician and have the brake system inspected.